Day one of the show is now over. It was so much fun! 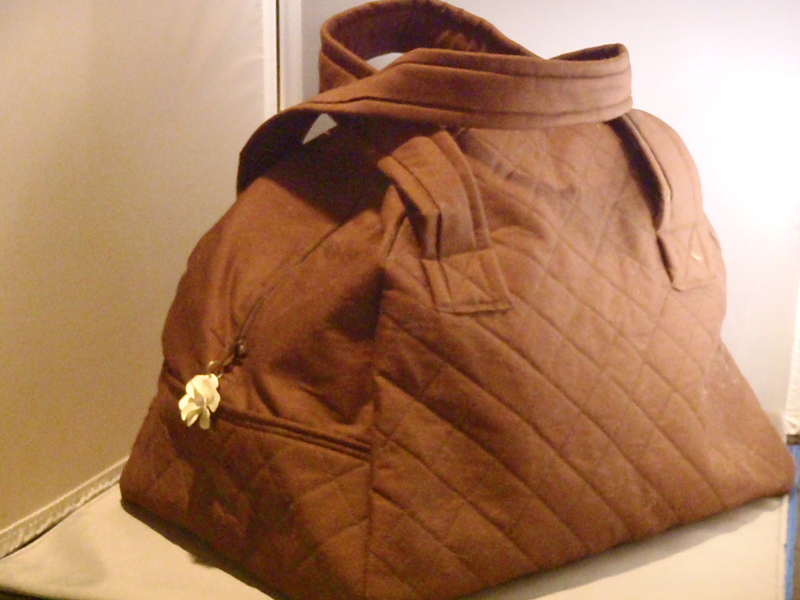 The Indy messenger bag was sold as was the Ellie Peekaboo bag. Various box bags have gone to loving homes and some festive wristlets will adorn lovely wrists this New Year’s, but I still have a few of each left. 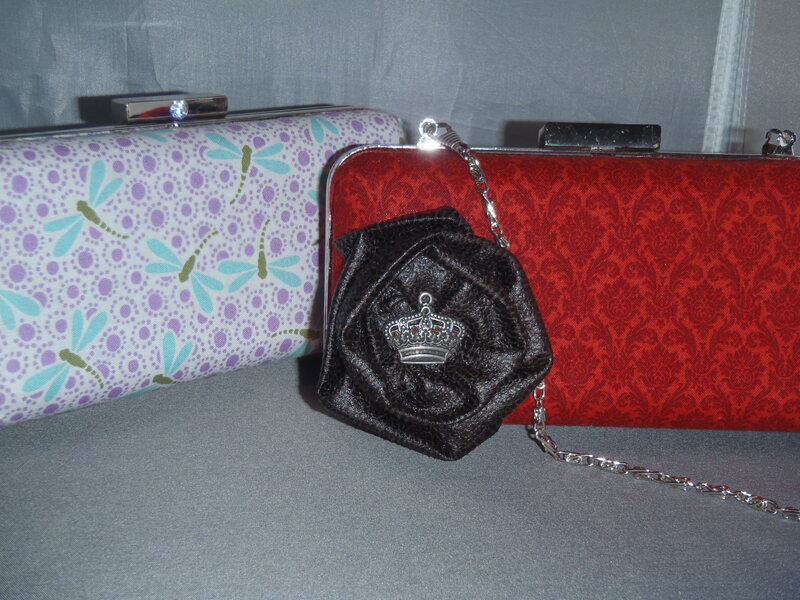 I also have some Penelope pin-tuck bags, Baubles of Cheer clutches, and large totes. I also have a most amazing weekender bag that is for sale. I will post some pictures of her tomorrow. Come on down! We have lots of wonderful gifts for you and yours! And food to munch and wine to sip while you shop! Here are just a few pieces I have left. 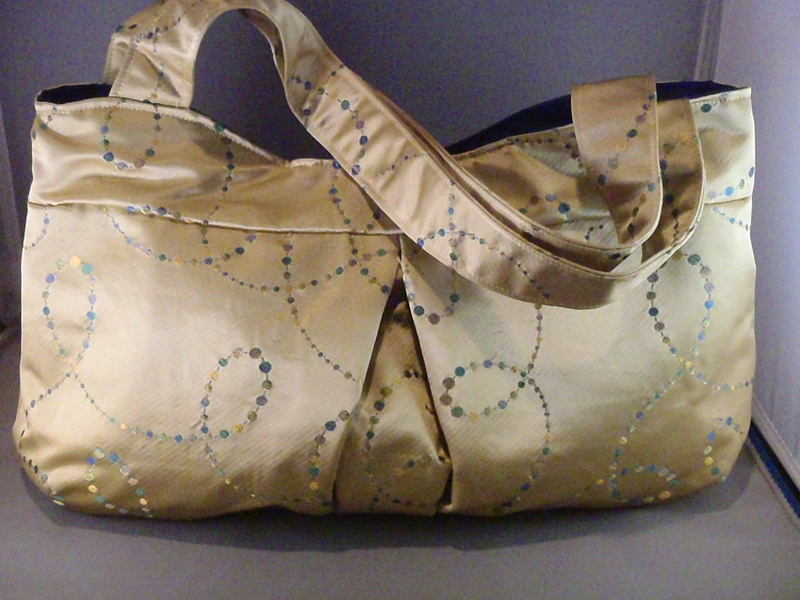 A peakaboo bag in gold silk. 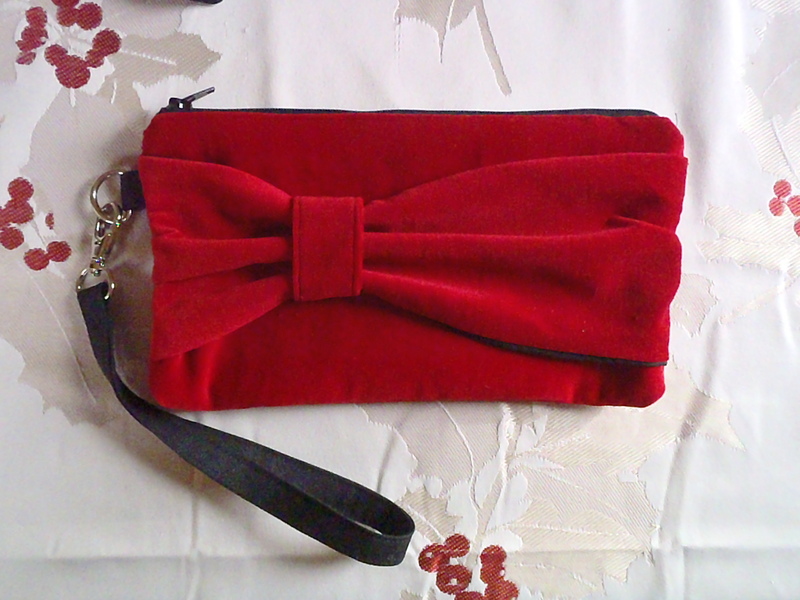 A Marilyn wristlet in a festive holiday red. 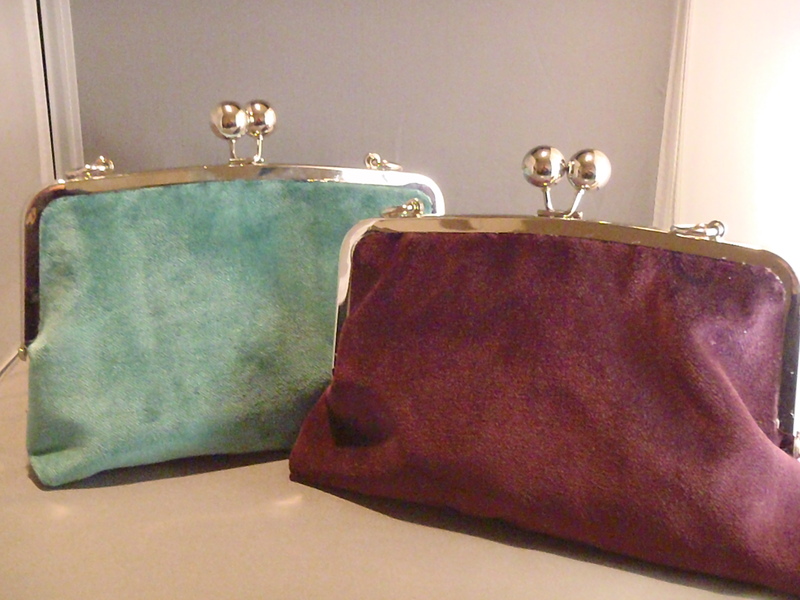 Two ab-fab hard-sided clutches, with a delicate silver chain as a strap. A spacious to-work bag. It can hold everything from your iPad to your gym shoes. O time! swift devourer of all created things!